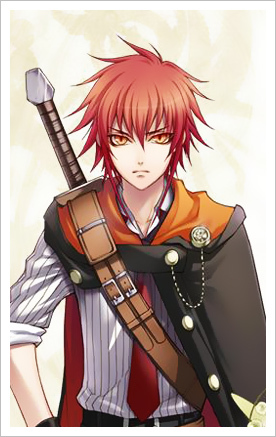 General Description: Azre has Red medium length spiky hair and always has serious face on him he dose not carry any weapons on him he wears and shirt a black waistcoat and a red tie with a cloak warped around him. with black pant and black knee high boots with red trimming he is toned and slim with pierced ears and fair skin. Azre eye's are a fire red that change color depending on his mood has no battle scars But has his Fairy tail tattoo on his neck colored blue also has 2 magic signs tattoo'ed on the top of his hands which are always covered up with his black fingerless gloves. Personality: Azre is a well focus and straight forward guy. He dose not have time for fun and games. He is on a race against his Twin brother called Tomo, to find his father in order to find out why his father killed his mother. As Azre is seeking the truth, Tomo his brother Wishes for revenge. Azre joined the Fairy tail guild after leaving Era, his home town to fund his mission. He has no intention and wishing to make friends and would rather carrying on gaining power for when he meets his father or brother again. He takes care of the money situation for his big sister called Tamako by going on requests but has very little contact with her. He has trouble hiding his emotions when pushed to it and can loose control of his reasoning when fighting. Azre has a smart mind and can determine the best course of action. he likes training and sometimes can spend to much time training which leas into his next thing he likes sleeping Azre can sleep in the most odd places quite well because he is neverto sure he will end up next. Azre has also his dislikes feeling weak in any form which is why he hides his emotions away. Azre and I sense of justice and wont let anyone break it no matter who they are. Description: As many know Requip allows the users to store items in a pocket dimension. elemental Requipping allows the users to add elements to there Items allowing the user to create more devastating attacks and abilities Right now Azre has only learned how to use light and Fire. 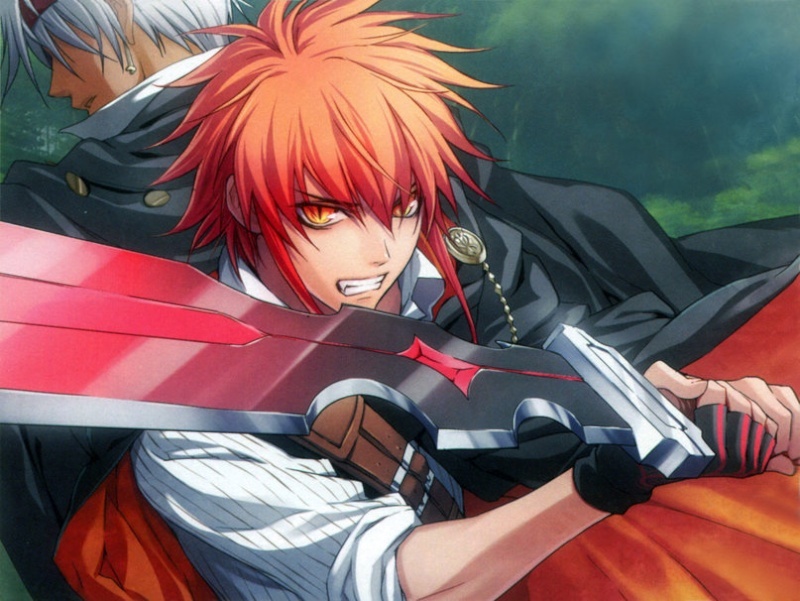 Advantages: Requip can be used for simple or for combat-related purposes. the users are able to Requip different weapons & Armour in battle. Disadvantages: However, there is a limit to how much the pocket dimension can store. Elemental requipping although strong harms the user itself (EG) Fire Burns the user Light rips up the body. Bump when your ready to have your application looked at. Alright, well I am Lilthal as you can see and I will be your mod for this process. Also you have written your history like a present day post. I don't mind it but take out the talking and just write about the events and possibly add something else. Like your character went on a long journey or was in denial for so long. Bump when edits are done.